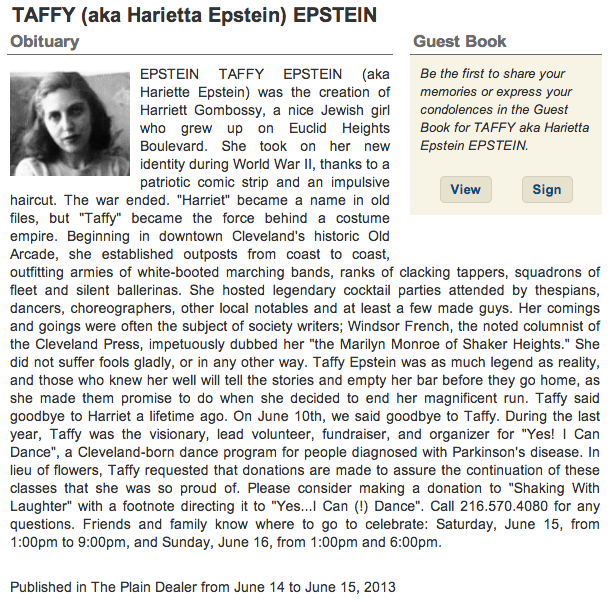 A dancing dream has come true, in a sense, for Taffy Epstein. In The Arcade she has one of the few shops in the nation devoted to the accoutrements of the ballet toe shoes, tiaras, leotards, tu-tu skirts, Grecian tunics, circular side-tie skirts, opera tights and hose and even special undergarments. The place has an exciting backstage atmosphere. Students, parents, teachers and dancers visit Mrs. Epstein to discuss problems. They feel at home immediately for she is usually garbed in a leotard that fits her size eight figure beautifully. 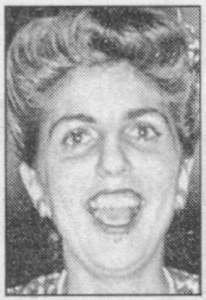 Her husband, Harvey L., is the producer of the Chagrin Falls Valley Playhouse. This winter he is serving as production manager for the Shaker Players. 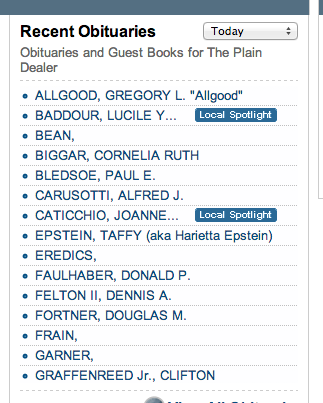 He is in the wholesale shoe business and the family lives at 2891 Ludlow Road, Shaker Heights. What does Taffy (as her intimates call her) like to do in her spare time? Dance, of course.